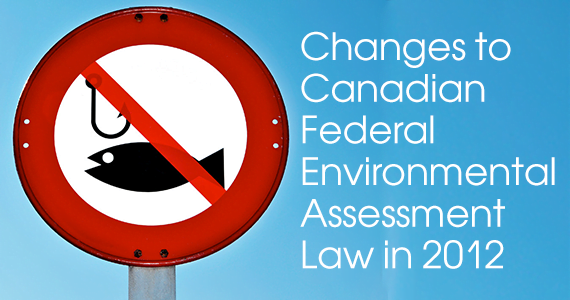 In 2012, the landscape of Canadian federal environmental assessment law was completely altered. Following on the heels of a truncated statutory review process in late 2011, federal environmental assessment law was re-written with the passage of Bill C-38 (the federal omnibus budget bill). This article will provide an overview of the statutory review process and the legislative changes to federal environmental assessment law and introduce A Model Environmental and Sustainability Assessment Law recently published by the Environmental Law Centre (ELC). The Model Law is available with or without annotations on the ELC website. The second, most recent review of the provisions and operation of CEAA was due to be conducted in 2010. The statutory review process got off to a late start and was conducted over a very short period in late 2011. In stark contrast to the first statutory review, the most recent review process took a matter of weeks resulting in a cursory, scattered review of CEAA. The House of Commons Standing Committee on Environment and Sustainable Development issued its report entitled Statutory Review of the Canadian Environmental Assessment Act: Protecting the Environment, Managing our Resources in March 2012. The report contains 20 recommendations which are ostensibly designed to “streamline” the federal environmental assessment process.2 Ultimately, many of the Standing Committee’s recommendations made their way into the new federal environmental assessment law. With the passage of Bill C-38, the previous CEAA was repealed and replaced with the Canadian Environmental Assessment Act, 2012 Ch. 19, s.52 (CEAA 2012). The CEAA 2012 – along with the Regulations Designating Physical Activities, the Prescribed Information for the Description of a Designated Project Regulations and the Cost Recovery Regulations – came into force on July 6, 2012. The new federal environmental assessment process adopts a project list approach for determining which projects will be subject to environmental assessment. Under CEAA 2012, only those projects designated by the Regulations Designating Physical Activities (RDPA) or designated by the Minister of Environment on a discretionary basis may be subject to federal environmental assessment. All other projects on the RDPA are linked to the Canadian Environmental Assessment Agency (CEA Agency) and may or may not undergo a federal environmental assessment. Proponents of such projects must submit a project proposal to the CEA Agency, the contents of which are dictated by the Prescribed Information for the Description of a Designated Project Regulations. Once the project proposal is complete, the CEA Agency determines whether or not a federal environmental assessment ought to occur. At this point, a federal environmental assessment may not proceed because the Agency determines that there there are no adverse environmental effects. As well, the federal government may decide not to conduct its own environmental assessment on the basis that the project is being assessed using a provincial process that is substituted for or deemed equivalent to the federal process. If the CEA Agency has determined that a federal environmental assessment is required, one of two kinds of environmental assessment may occur: a standard environmental assessment5 or assessment by review panel (s.38). Once the environmental assessment is complete, the appropriate body (the CEA Agency, CNSC, NEB or the review panel) must prepare a report, which is used to determine whether or not the project will cause significant adverse environmental effects. If the project is determined to cause significant adverse environmental effects, the matter is referred to the federal Cabinet to decide whether or not those effects are justified in the circumstances (s.52). Finally, a decision statement which indicates the decision made in relation to the project (including any conditions that must be met by the project proponent) is issued (s.54). How Does CEAA 2012 compare to the previous CEAA? There are several significant differences between the previous CEAA and CEAA 2012. The number and scope of assessments conducted under CEAA 2012 will be reduced compared to the previous CEAA. There are also significant procedural differences between the previous CEAA and CEAA 2012, including changes to the types of environmental assessment, the federal authorities conducting assessments and public participation opportunities. As well, CEAA 2012 introduces legislated timelines and the mechanisms of substitution and equivalency. The previous CEAA applied to all projects that had a federal trigger (unless specifically excluded). This meant that a federal environmental assessment was required for all projects which triggered CEAA by virtue of involving the federal government as proponent, federal lands, a prescribed federal permit or federal financial assistance. In contrast, under CEAA 2012, only those projects designated by the Regulations Designating Physical Activities may be subject to a federal environmental assessment. In addition, the Minister has the discretion to designate a particular project for federal environmental assessment on an ad hoc basis. 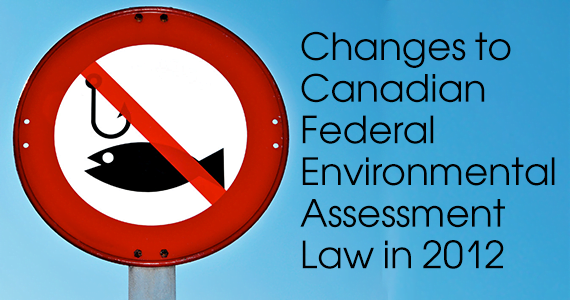 The effect of these changes to federal environmental assessment law means that fewer projects will be assessed. Fewer projects will fall into the purview of CEAA 2012 than with the previous CEAA. Further, even those projects which do fall into the purview of CEAA 2012 may be excused from a federal environmental assessment at the discretion of the CEA Agency or the Minister. The scope and content of federal environmental assessments is also reduced under CEAA 2012. Consideration of environmental effects under CEAA 2012 is limited to effects on fish and fish habitat, aquatic species at risk, migratory birds, federal lands and aboriginal peoples. As well, a federal authority6 must consider changes to the environment that are “directly linked or necessarily incidental” to that federal authority’s exercise of power in relation to the project. This contrasts to the previous CEAA, which considered effects to all aspects of the environment: land, water, air, organic and inorganic matter; all living organisms; and interacting natural systems. While the factors that must be considered in the course of a federal environmental assessment remain largely unchanged from the previous CEAA, there are a few significant differences. The previous CEAA required consideration of the need for the project and alternatives to the project. There is no longer a requirement to consider these factors in the course of a federal environmental assessment despite both factors being key considerations for achieving sustainability. As well, the requirement to consider the capacity of renewable resources that are likely to be significantly affected by the project to meet present and future needs is removed from CEAA 2012. As mentioned above, there are two kinds of environmental assessment under CEAA 2012: a standard environmental assessment or assessment by review panel. This contrasts with the previous CEAA, which had several forms of environmental assessment: screenings, comprehensive studies, panel reviews or mediation. Under CEAA 2012, a federal environmental assessment may be avoided by allowing a provincial assessment process to be substituted or deemed equivalent. In the case of substitution, the federal government considers the provincial environmental assessment and makes its own decision (i.e., the provincial assessment alone fulfills the requirements of CEAA 2012). In the case of equivalency, the federal government relies entirely upon the provincial environmental assessment, including the ultimate decision (i.e., the project will be exempt from CEAA 2012). The mechanisms of substitution and equivalency under CEAA 2012 are a marked departure from the use of coordination and harmonization under the previous CEAA. The previous CEAA required that environmental assessments were to provide opportunities for public participation. The term public was not restricted in any manner. In contrast, under CEAA 2012, public participation in environmental assessment processes conducted by the NEB or a review panel is limited to interested parties.10 An interested party is defined as any person who is directly affected by the project or has relevant information or expertise. Recently, the Environmental Law Centre published A Model Environmental and Sustainability Assessment Law. It is the ELC’s goal that the model law will be used by both provincial and federal governments to improve Canada’s environmental assessment processes. The ELC thanks its funders – the Alberta Ecotrust Foundation and the Alberta Law Foundation – for supporting this project. provides a legal framework for strategic and regional assessment. These types of assessments enable consideration of environmental and sustainability impacts at a policy, planning or regional level to provide a strategic framework for subsequent project-based assessments. 1 For a brief description of the statutory review process conducted in 2000, see Arlene Kwasniak, “Canadian Environmental Assessment Act: Five-Year Review (2000) 15 Newsbrief 1. 2 For the ELC’s discussion of the Standing Committee’ Report see our March 21, 2012 blog post entitled Standing Committee on Environment and Sustainable Development issues its Report on the CEAA Seven Year Review (http://environmentallawcentre.wordpress.com/2012/03/21/standing-committee-on-environment-and-sustainable-development-issues-its-report-on-the-ceaa-seven-year-review/). 4 Ibid., ss. 13 and 15. 5 Conducted by the CEA Agency, the CNSC or the NEB. 6 Federal authority is defined by s. 2, supra. note iii. A federal authority includes Ministers, government agencies, parent Crown corporations, departments or departmental corporations, and designated bodies. 7 Currently, the only designated authorities are the CEA Agency, CNSC and NEB. The Act leaves open the possibility of other federal authorities being designated by the RDPA. 8 Under the previous CEAA, there were no timelines set by the Act itself. However, the Establishing Timelines for Comprehensive Studies Regulations did place timelines on the completion of comprehensive studies. 9 If a review panel fails to meet this timeline, the review panel is terminated and the environmental assessment is completed by the CEA Agency (supra. note iv at ss. 49 and 50). The legislated timeline for the CNSC is 24 months as set by the Regulations Amending the Class 1 Nuclear Facilities and Uranium Mines and Mills Regulations (Legislated Timelines) SOR/2012-288. 10 This definition is not applicable to environmental assessments by the CEA Agency or by the CNSC, see supra. note iv at s. 2(2) and s. 15(b).